Vision Statement: Santa Maria’s vision is for Greater Price Hill to be a vibrant, thriving, and self-sustaining community. Mission Statement: Santa Maria is a catalyst and advocate for Greater Price Hill families to attain their educational, financial, and health goals. *Children are kindergarten-ready and youth have supports to continue their education. *Families attain economic health through job and housing stability and successfully integrate into the community. *Families have access to health services that improve the overall health in the community. 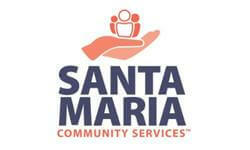 Santa Maria Community Services provides Greater Price Hill, ( a mostly low income community in Cincinnati, OH) with educational tools and resources to build strong families, promote healthy residents and foster neighborhood revitalization. For more than 117 years, Santa Maria has helped families help themselves, and the mission of Santa Maria continues today. -Employs 50 staff and engages more than 500 volunteers who give more than 20,000 hours of their time annually. We operate numeous programs targeted to serve clients in several areas, including Income/Workforce Development, Health, and Education/GED plus our AmeriCorps program. Members serve at some of our agency sites and elsewhere in the community. Please see our web site for details. SMCS provides support to more than 3,000 individuals annually. For details on each program please see our web site. Members will work one on one and lead small group classes using materials we provide, along with web based materials. Adults of all ages, backgrounds and abilities are served in one setting and teens are served at another setting.